Q&A Written By: Jonathan A. To start off, if you haven’t played Dungeon of the Endless yet, you can buy it from Steam. It’s inexpensive and a ton of fun (alpha review coming up soon-ish). I’m recently getting into rougelikes and Dungeon of the Endless is the latest one that has my attention. I’ll let Romain de Waubert describe it below and I’ll go into more detail later. 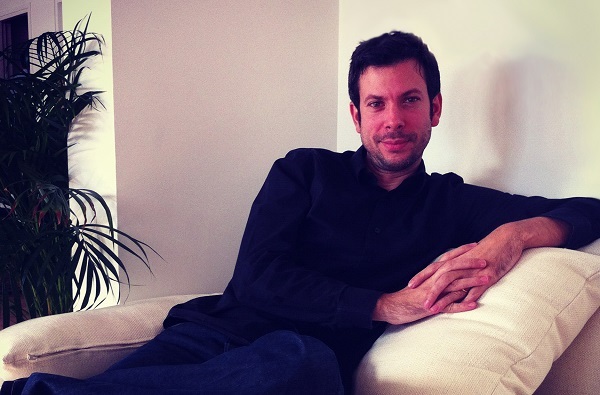 Look how relaxed Romain de Waubert looks… I thought independent development was supposed to be super stressful. All joking aside, thanks for taking the time to talk with us! 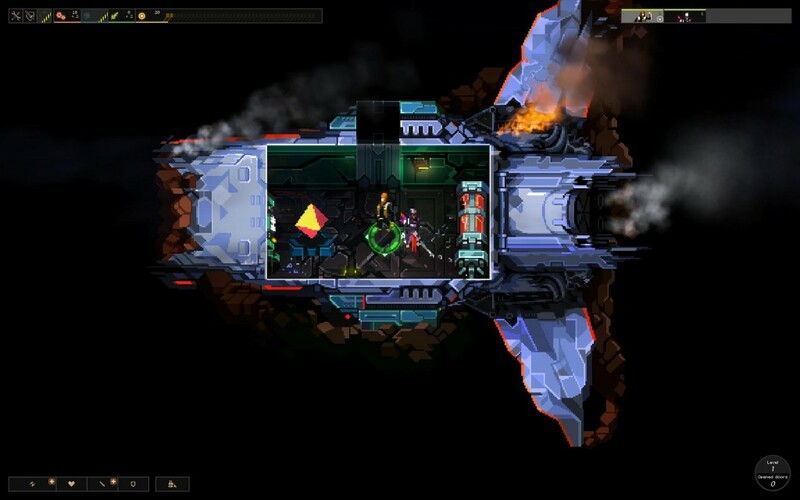 The Videogame Backlog: To those that may not know, what is Dungeon of the Endless? 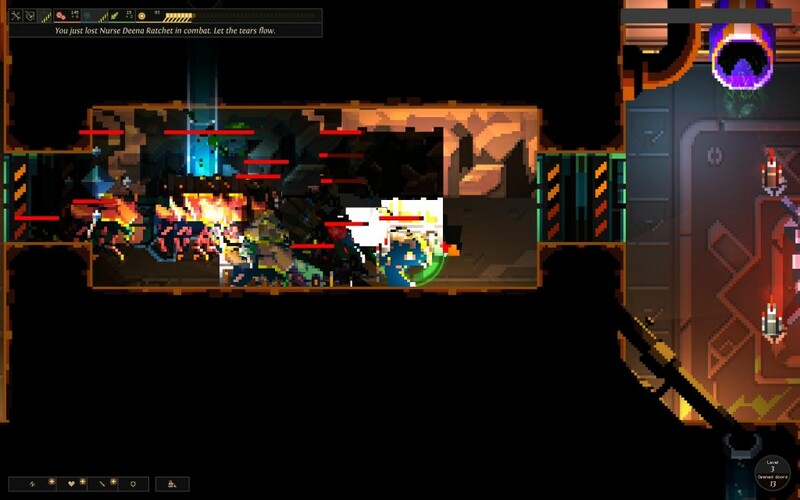 Romain de Waubert (Creative Director): Dungeon of the Endless is a pixel-art-dungeon-survival game that combines two game genres: Rogue-likes and Tower Defense with a pinch of RPG. You play a group of spaceship survivors who crash deep within a mysterious dungeon. While trying to find a way out you go through room after room and take possession of that dungeon, using its resources to survive and to defend yourself against its former inhabitants. 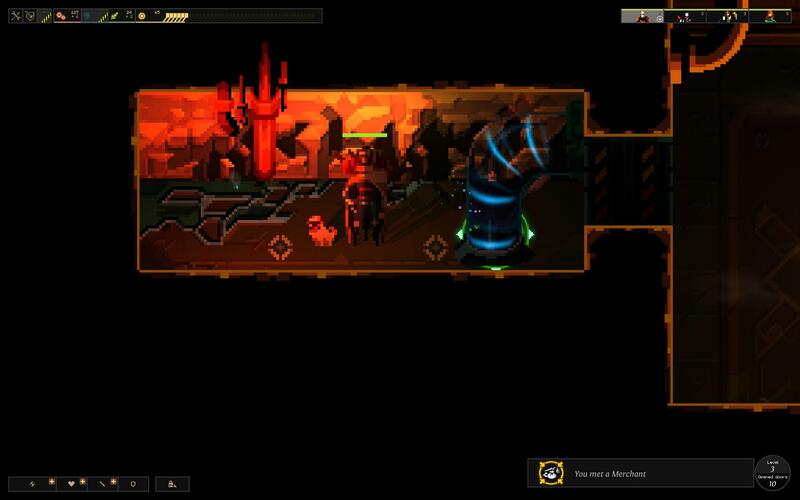 TVGBL: Is Dungeon of the Endless a spiritual successor to Endless Space or does it just take place in the same universe? Romain de Waubert: It’s a fun “little” game we really wanted to make as a companion to our two big 4X games. The game takes place in the same universe and links the two stories, yet the gameplay is very different. However, we still see it as a strategy game, so it shares some common mechanics like the economic system based on food, industry, science and Dust — our mysterious and powerful resource. TVGBL: Would one need to know the intricacies of Endless Space to understand everything in DotE? TVGBL: A roguelike is so drastically different from a strategy space simulation, what inspired you guys to make the jump? Romain de Waubert: Passion! We love games, and we play many different genres. If we tend to love playing long complex games over the course of several days, like Endless Space, we also love to play shorter, very challenging games like DotE. The beggining of all the action… unfortunately without my favorite hero. TVGBL: What makes DotE different from other roguelikes that seem to be getting popular lately? Romain de Waubert: We are not trying to be a “me-too”; we focus on the overall sensations that our players have while playing, and what feeling lingers after the session is over. Playing DotE is not just playing a Rogue-Like, it is an experience; it is an adventure. It has to be mind-challenging, accessible, beautiful to look at, and its sound must transport you deep within our universe — thanks to the beautiful tunes by FlyByNo. TVGBL: This may be similar to the last question, but what is the feature or features you are most excited for gamers to experience in DotE? Romain de Waubert: Although we are still tuning it, I love the moment when you find the end of the level. When that happens, you have to transport your power source with your team to the next level. The problem is that by doing so you will generate a power failure that disables all your defenses, one after the other… This attracts all the remaining monsters kept at bay in the dungeon, creating an epic moment when one of your heroes tries to run for the exit with the power source while the others try to protect him, using their last defenses and resources, often at the cost of their own lives. TVGBL: Will DotE remain click to move (which surprised me how well it actually works) or will there be WASD movement eventually later? Romain de Waubert: For the moment it is only click to move. 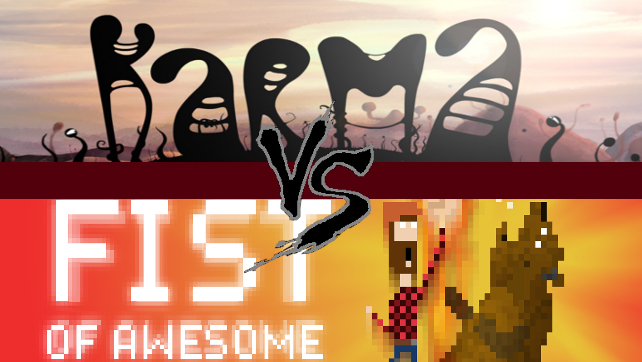 We see it as a strategy game more than an action game, and we feel that our control system is adequate for that. But we do have pad control in mind for later. Here’s a picture of DotE kicking my teeth in. That’s a bit of a graphic picture I know, but I’ve honestly never seen 15+ bad guys come at me at once. I literally had no chance. 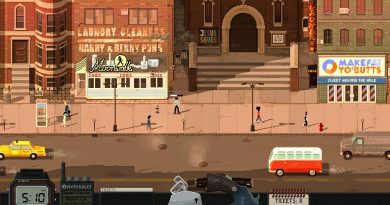 TVGBL: As excited as I am for this game and not knowing too much about independent development, what would it take for this game to be classified successful for you? Romain de Waubert: Our objective for the game was to attract new players to our universe and show them our game development philosophy, which goes beyond making 4X games. For us, seeing how well it has been received, it’s already a success. Yet we still have a lot to deliver, so we need to stay focused and on track. The final game has to deliver to the players the promises that we made in the Alpha. Of course the more people join the Alpha, the more funding we get and the more we can add ambitious features and content. We hope to transform a small fun game into a big ambitious experience. I also think we see it as a success because it is a polished Alpha version of the game. This is a must-have if you want to deliver a successful Alpha. Our players are not there to debug the game for us! This is why we preferred to work on a small and polished Alpha rather than a big and frustrating Alpha. TVGBL: Do we have an ETA on the Beta so we can try out the co-op? Romain de Waubert: We hope to have the Beta out in a couple months if all goes well. I am not sure yet when the MP will be ready, although it is about to win our GAMES2GETHER vote so we will have to make it playable sooner than expected! TVGBL: Is there anything else you’d like to say to our readers? Romain de Waubert: Many thanks for getting interested in games other than big blockbusters, allowing us to exist and make the games that really fuel our passions! DotE has NPC’s with pugs! Merchants are awesome, except what they expect you to pay with. Many thanks to Romain de Waubert and everyone else over at Amplitude! I’m always excited to meet some awesome people in the industry be they independent or AAA. Best of luck to Amplitude and all of their endeavors. Be sure to to like them on their respective Facebook sites (Endless Space, Dungeon of the Endless, & the upcoming Endless Legend) for news and updates! ← Awesome Games Done Quick 2014 is This Week!